As We Move Towards Driverless Cars, Will We Ever Have Pilotless Planes? 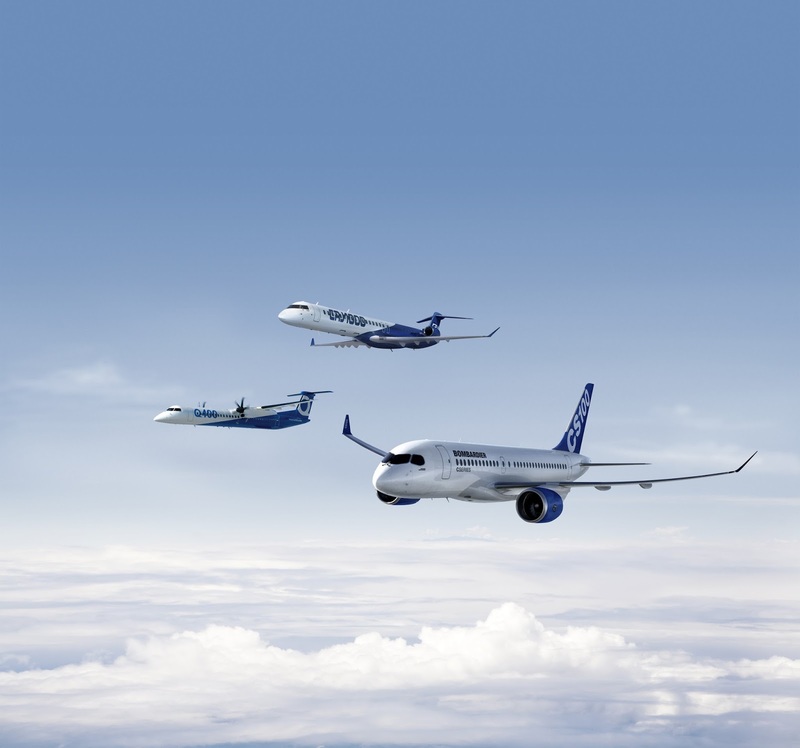 Bombardier Commercial Aircraft today released its 20-year Market Forecast for the 60- to 150-seat segment. According to this new 2017-2036 Market Forecast, the 60- to 150-seat seat segment will be a catalyst to further growth, market penetration and airline profitability. “The outlook for our markets is strong,” said Fred Cromer, President, Bombardier Commercial Aircraft. “We are the only manufacturer with a solution for any type of business model in the 60- to 150-seat segment, and we are well positioned to capture the value from the exciting opportunities outlined in this Market Forecast. The complete market is seen as 12,550 aircraft worth U.S. $820 billion, based on 2017 list prices. The 100- to 150-seat segment will represent 70 per cent of the revenues, 6,800 aircraft valued at $580 billion, followed by the 60- to 100-seat segment with 5,750 deliveries worth $240 billion. After a trend to take larger aircraft in the recent years, airlines will look at taking smaller aircraft in the future. Some of the conclusions that this new Market Forecast is drawing include the fact that revenue growth is just one part of the profitability equation, and the traditional pursuit of reducing cost-per-seat with large aircraft is not necessarily yielding more profit for airlines. A focus on cost-per-seat instead of yield-per-passenger have resulted not only in lower profits for airlines but also in poor passenger experience. In some regions, even heavy discounting can’t fill oversized planes, while in other regions, overbooked flights are generating outrage amongst passengers. Profit contribution will be transitioning from a network-wide basis to per-passenger basis. With the objective of increasing the profitability per passenger, airlines start investing in right-sized aircraft based on market demands. The forecast says small regional aircraft (20-60 seats) segment erosion will have a rippling upgrading effect; large regional aircraft (60-100 seats) will continue to dominate short-haul (up to 500 nm/926 km) routes; and small single-aisle aircraft (100-150 seats) will increase point-to-point flying on short- to medium-haul sectors and will allow airlines to fly new and thin routes at a profit. The forecast predicts that 86 per cent of the current fleet in this segment will retire by 2036. North America and Europe will continue as the largest markets for new aircraft. Together they will take delivery of 5,700 aircraft or 46 percent of deliveries. The forecast divides the world into nine geographical regions – North America, Europe, Greater China, East Asia and Oceania, Latin America (including Mexico), Russia and CIS, Africa, South Asia and the Middle East. There will be a strong demand for large regional aircraft from Asia/Pacific owing to growth, and renewal demand from Europe and North America. Key markets for the small single-aisle aircraft segment are North America, Europe and Greater China. EVERETT, Wash., Sept. 25, 2017 /PRNewswire/ -- Boeing [NYSE: BA] and Qatar Airways announced an order today for two 747-8 Freighters and four 777-300ERs (Extended Range), valued at $2.16 billion at list prices. The orders were previously unidentified on Boeing's Orders & Deliveries website. 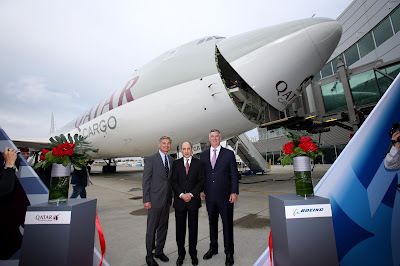 The airline also received the first of its 747-8 Freighters at a delivery ceremony attended by His Excellency Mr. Akbar Al Baker, Qatar Airways Group Chief Executive and Boeing Commercial Airplanes President and CEO Kevin McAllister. "The addition of our very first 747-8 Freighter is a significant moment for our Cargo division, and a welcome addition to our 20-strong cargo fleet of wide-body aircraft," said His Excellency Mr. Al Baker. "As the world's third-largest cargo operator, Qatar Airways continues to invest in fleet expansion, with a second 747-8F due to be delivered in November. This reflects our confidence in Boeing to continue to deliver an outstanding product that meets our exacting standards. We expect no less than perfection, and we are confident that Boeing will continue to deliver that." Today's announcement is the latest milestone in Qatar Airways' relationship with Boeing. The carrier became a launch customer for the 777X in 2013, was the first to operate the 787 in the Middle East and has 20 737 MAX airplanes on order. "We are proud of our strong, enduring and growing partnership with Qatar Airways and we truly appreciate the value its business has brought to Boeing, its employees, suppliers and our communities," McAllister said. "As one of the world's largest international cargo carriers, it is heartening that Qatar Airways has selected the 747-8 Freighter to meet the needs of its growing cargo operations and to see the important role the 777-300ER continues to play in its long-haul fleet." The 747-8 Freighter gives cargo operators the lowest operating costs and best economics of any large freighter airplane while providing enhanced environmental performance. It is optimized to provide greater revenue cargo-carrying capability than the 747-400, offering 16 percent more cargo volume while keeping its unique nose door. The 777-300ER has the highest schedule reliability of any twin-aisle airplane flying today. It is the flagship of the world's elite airlines. His Highness stressed the importance of the transportation sector, which he said is a vital driver of the development process and an indicator of the level of advancement of the nation. He hailed the remarkable progress achieved in this sector through a number of landmark projects that have maintained the highest international standards while remaining true to the principles of environmental sustainability. HH Sheikh Ahmed bin Saeed Al Maktoum, Chairman of Dubai Civil Aviation Authority and Chairman of Emirates Group; HE Mohammad bin Abdullah Al Gergawi, UAE Minister of Cabinet Affairs and The Future; and HE Sultan bin Saeed Al Mansoori, UAE Minister of Economy and Chairman of the General Civil Aviation Authority also attended the test flight. The Turnbull Government has committed to establishing a national space agency to ensure Australia has a long-term plan to grow its domestic space industry. Acting Minister for Industry, Innovation and Science, Senator the Hon Michaelia Cash, said the establishment of a space agency is one of the key issues being examined by the Expert Reference Group appointed to review Australia’s space industry capability. “The global space industry is growing rapidly and it’s crucial that Australia is part of this growth,” Minister Cash said. Former CSIRO Chief Dr Megan Clark is chairing the Reference Group, and its review is well advanced. The Reference Group has sought views from across the country from industry, government and society, which will be used to inform our plan to expand this important and exciting sector. The Reference Group has received almost 200 written submissions in response to its issues paper, and more than 400 people have been consulted through roundtables in each state and territory. Meetings have also been held with key stakeholders, including the state and territory governments. Feedback from the extensive consultation process has overwhelmingly shown the need for the establishment of a national space agency. The Reference Group will now develop a charter for the space agency for inclusion in the wider strategy being brought forward by the end of March 2018.